Most people in the western world no longer grow the food they eat. Rather food is (mass) produced by an anonymous third-party, and offered as a service. The majority of people purchase their food from a single supermarket through a combination of habit and convenience. Supermarkets vary greatly in the amount of organic food and related health food products they provide. If you are lucky, your local, current provider will be able to supply you with all the foods you require  you just need to choose them! If your local supermarket does not have the range of freshly produced organic food that you desire, you might want to consider supplementing your supply with specialist organic food suppliers. One of which is www.abel-cole.co.uk, Tel 08452 626262, where you can choose from a great selection on line and have it delivered to your door. If you are outside their catchment area, have a look at the type of service they offer so you know what to look for in another company closer to home. If you find a good supplier that you would recommend to other people, please let me know and I will update my site to link to it to help other readers. Goodness Direct for all dry, chilled and frozen organic supplies. As well as finding sources of fresh, organic food, people often ask me for advice on where to get their food supplements. There are a number of good suppliers in the UK - one I use myself and recommend is Savant who also supply the excellent Udo Oils. Evolution is a natural raw wholefood, combining a selection of some of nature's most perfect foods. Nutrition is the key to good health and this wholefood blend of Rare West Australian native bee pollen, certified organic Barley grass, certified organic Maca and Aloe Vera, is abounding with vitamins, minerals, enzymes and amino acids in their naturally occurring state. Evolution does not contain any fillers, all the ingredients bring their own special benefit to the product. Evolution helps provide the daily nutrition you need to develop a strong foundation for your good health. 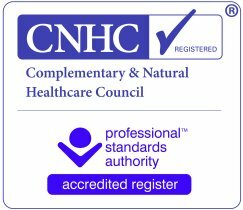 Contact darren@thehealthcorner.co.uk to obtain Evolution, or visit www.thehealthcorner.co.uk or telephone 01827 874 721 for contact. VeggieStuff.com - The best range of tofu/tempeh products I've tried! Easygreen sprouter, Vita-prep3, blender and Excalibur dehydrator can be obtained from Fresh-Network.com. For crystals, essential oils and personal care items - this is a website worth checking out. A fabulous site for information about wheatgrass and broccoli sprout juice. Unsure whether you are taking the correct supplements? Wish you were less stressed? Struggling with motivation to keep with your diet?